It’s a problem with your brain’s electrical system. A surge of electrical impulses causes brief changes in movement, behavior, feeling, or awareness. These events, known as seizures, last from a few seconds to a few minutes. People who’ve had two or more seizures without obvious triggers at least 24 hours apart have epilepsy. 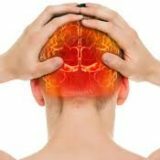 Epilepsy can cause convulsions — sudden, uncontrolled movements. But seizures can trigger a wide range of other symptoms, from staring to falling to fumbling with clothes. Most doctors divide them into different types, according to how they affect your brain. Each has its own set of symptoms. These are often described as staring spells. The person stops what he’s doing, stares into space for a few seconds, then goes on like nothing happened. 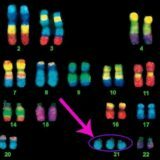 It’s most common in children and usually starts between the ages of 4 and 12. Some kids have as many as 100 absence seizures in 1 day. These used to be called grand mal seizures, and they’re the most easily spotted. Your arms and legs stiffen, then begin to jerk. This can last up to 3 minutes. After it happens, you’ll probably be tired and confused. This type of seizure involves many areas of the brain. Also called partial seizures, these start in one part of your brain. You might make jerking motions or see things that aren’t there, but still be aware of what’s happening. If you have a complex partial seizure, you might wander, mumble, smack your lips, or fumble with your clothes. Others might think you’re conscious, but you won’t be aware of what you’re doing. Most people with epilepsy never find a specific cause. Yes, but some outgrow it in a few years. Regular medication often stops it. If drugs alone don’t keep it under control, other treatments may help. A well-informed school staff can help a child with epilepsy safely take part in most activities. A doctor will review the description of your seizures and your medical history, then examine you. He’ll give you a test called an electroencephalogram (EEG) to confirm a diagnosis and get more information about your seizures. It’s a painless procedure that records your brain’s electrical activity as wavy lines. The pattern changes during a seizure and may show which part of the brain is affected. That can help guide your treatment. Detailed images of your brain from tests like CT or MRI scans can help doctors rule out some things as causes, like a change in the structure of your brain, bleeding, or masses. A CT scan is a powerful type of X-ray, and an MRI uses magnets and radio waves to make pictures. This information will help your doctor come up with the best treatment plan for you. The best way to avoid them is to find a treatment that helps you, and stick with it. Most people with the brain disorder live a long time, and they’re rarely injured during seizures. But if you fall during them, you may need a helmet to protect your head. 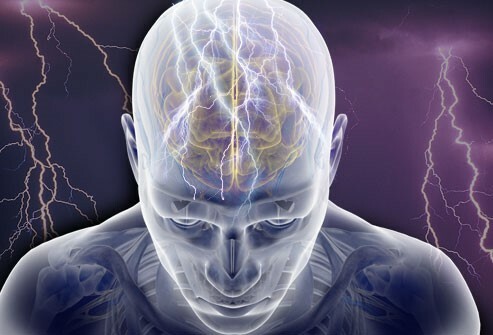 Some types of seizures may make an early death more likely, but this is rare. Because seizures often strike without warning, some activities are dangerous. Losing consciousness while swimming or taking a bath could be life-threatening. The same goes for many extreme sports, like mountain climbing. Most states require you to be seizure-free for a certain amount of time before driving a car. Anti-seizure drugs are the most common epilepsy treatment. If a medication doesn’t work, your doctor may adjust the dose or prescribe a different drug for you. About two-thirds of people with the brain disorder become seizure-free by taking their meds as prescribed. If medications don’t work, a doctor may suggest this eating plan. It’s strict, and your medical team will watch you closely while you do it. The diet is high in fat and protein, and low in carbs — a mix that makes your body burn fat instead of sugar. This creates changes in your brain that help lower your chances of seizures. More than half of children who follow this diet have at least 50% fewer seizures. Some even stop having them. VNS. It stands for vagus nerve stimulation. Sometimes it’s called a pacemaker for your brain. It sends electrical pulses through a large nerve in your neck. Cortical stimulation. Surgeons place electrodes on the surface of your brain. Deep brain stimulation. Electrodes placed deep in the brain can cut seizures by 50% or more for some people. It can stop partial seizures. If the medical team finds that yours always begin in a single area of your brain, removing that area may stop them or make them easier to manage. Surgery also treats conditions that cause seizures, like a brain tumor. Time how long it lasts. Loosen anything at the neck that may affect her breathing. Turn her onto her side. Put something soft beneath her head. Don’t place anything inside her mouth. Call 911 if a seizure lasts more than 5 minutes, happens again, or the person is pregnant, injured, or has diabetes. Long-lasting or recurring seizures may be a condition called status epilepticus. It can cause serious problems and needs emergency treatment. To bring the seizures to an end quickly, hospitals often give drugs by IV, along with oxygen. It’s safe for most women with the brain disorder to get pregnant. More than 90% of babies born to moms with epilepsy are healthy. But if you’re planning to have a child, talk to your doctor first. Anti-seizure drugs can cause health problems in infants. Your medicine or its dose may need to be changed. Service dogs can be trained to behave a certain way during a seizure. For example, the animal can lie next to the person to help prevent an injury. A dog can be trained to alert the parents during a child’s seizure. Help more people fully control their seizures. Some researchers are also studying implantable devices that could alert you when a seizure is about to happen. You can enjoy a full, active life. Taking your medication on schedule may stop your seizures. If not, you can get other kinds of help. A specialist can come up with ways to curb the condition’s impact on your life. The American Academy of Neurology and the Epilepsy Foundation have listings of neurologists who specialize in treating it, too. There are some booklets to download as well as more information on first aid, well being and personal stories shared by patients from the United Kingdom. previousWhat does a living a healthy lifestyle mean? The Optima Psychiatric Hospital, a healing centre, situated in the Bloemfontein suburb, Hospitaalpark, accommodating 81 patients and is operated by a company consisting of nine partners, all Psychiatrists. Traumatic Head Injury - Serious or not?